FieldEdge by dESCO is the #1 service management software to run your entire home service company. It combines a deep 36-year history with the latest technology to create a powerful yet easy-to-use system. 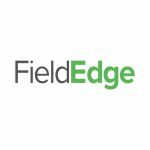 Accessible from anywhere and updated in real-time, FieldEdge connects every part of your business and gives everyone on your team, from the field to the office, the information they need to succeed. Comprehensive, interactive, voice-led e-Courses augment your hands-on equipment training programs. Targeted, animated e-Course solutions for specific equipment troubleshooting or installation training. Score-carding on your own in-house platform or host with Ignitor on our LMS. LeadsNearby is a full-service digital marketing agency with a proven track record in helping B2B service contractors like you acquire and retain customers. Our programs help you be found wherever your prospects search, be selected for your prospects’ needs and be remembered when your prospects require services in the future.